Xavier Buckner is a graduate of Blue Springs South High School. After graduating in 2015 he attended college at the University of Central Missouri and studied Graphic Technologies. Two years into his education he decided to discontinue for a short time but began to find an interest in the real estate industry. While working as a server and bartender at a couple local restaurants, he built the charisma and friendly face needed to be apart of the real estate industry. 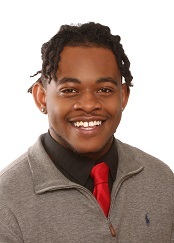 After obtaining his license in October of 2018, he decided to begin his real estate career with RE/MAX Heritage in Blue Springs. When Xavier has down time he enjoys pick up games of basketball and watching his native football team, the Kansas City Chiefs!